Cargille liquid, Series E; 1.550, 16 oz. 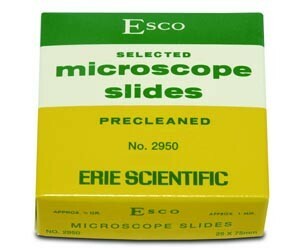 These pre-cleaned slides are made from the highest quality sheet glass. Frosted slides are sandblasted for marking specimens. Frosted slides are sandblasted on one end of one side.